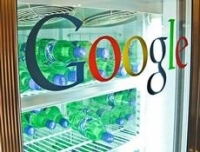 Google will inject £192 million (US$300 million) as a long-term investment in its Hong Kong data centre that will go live in early 2013, said the company after the ground breaking ceremony in Tsueng Kwan O Industrial Estate on Thursday. The £192 million investment includes the cost of land, construction and technical equipment, Google noted, adding that it will employ around 25 full-time staffers along with some part-time and full-time contractors in various roles including computer technicians, electrical and mechanical engineers, and catering and security workers. We're working as quickly as we can to get this facility operational so we can keep up with rapid growth in capacity demand across the region," Simon Chang, Google's head of APAC Hardware Operations. In September, Google announced its plan to build data centres in Singapore, Hong Kong and Taiwan. The company said it will also launch a community program in Hong Kong to provide annual grants ranging from £3,200 (US$5,000) to £32,000 (US$50,000) to organisations that focus on the issues such as technology literacy and innovation, renewable energy innovation, and new economy entrepreneurship. To get this effort started, Google is making a grant of £32,000 to Hong Kong-based NGO Web Organic to support their efforts in providing affordable laptops and digital literacy programs to underprivileged children in Hong Kong, the company added. Google launched a website on the facility at google.com/datacenter/hongkong, where people can ask the firm questions and find more information on the project, and job opportunities, the firm noted.